The practice has been employed by the broadcast networks for decades, with “This Is Us” as a recent example, and also has been adopted by the streaming platforms, illustrated by the recent salary bumps after Season 2 for the actors of Netflix’s “Stranger Things” and “13 Reasons Why”, reports deadline.com. Originally picked up with a two-season order, the period series from Amy Sherman-Palladino was renewed for a third season in May 2018, months ahead of its November premiere. Since its launch, “…Mrs. Maisel” has won many awards, including Emmys and Golden Globes. 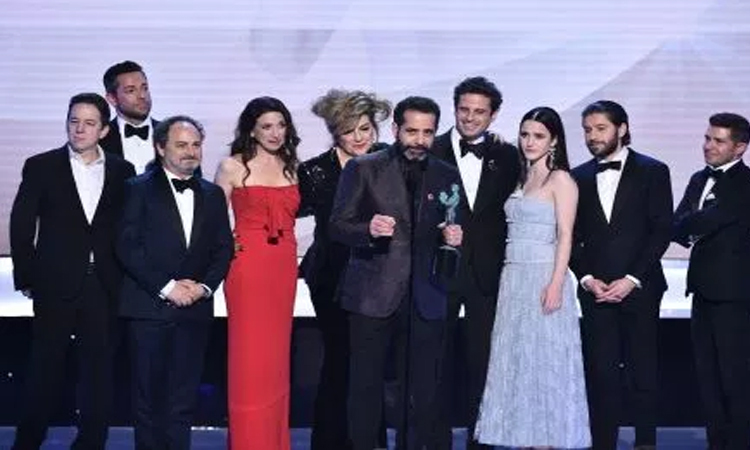 At the latest Screen Actors Guild Awards, where the show had another sweep with statuettes for Emmy and Golden Globe winner Rachel Brosnahan, co-star Tony Shalhoub and the cast in the comedy ensemble category, Shalhoub referenced the re-negotiations. “I want to thank everyone in Amazon, Jen Salke, and especially James Sterling in legal affairs and not just because I’m in the middle of re-negotiation,” Shalhoub quipped in the acceptance speech for his third SAG Award in the actor in a comedy series category — first for “…Mrs. Maisel”. According to sources, the re-negotiations are ongoing with no major issues, and the deals, which are said to include sizable salary increases for the main actors, are expected to close to pave the way for Season 3. In addition to Brosnahan and Shalhoub, the core cast of “The Marvelous Mrs. Maisel” includes Alex Borstein, Michael Zegen, Kevin Pollak and Marin Hinkle.